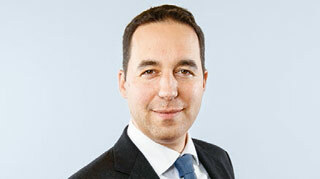 Christian Mumenthaler started his career in 1997 as associate with the Boston Consulting Group. He joined Swiss Re in 1999 and was responsible for key company projects. In 2002, he established and headed the Group Retro and Syndication unit. Christian Mumenthaler served as Group Chief Risk Officer between 2005 and 2007 and was Head of Life & Health between 2007 and 2010. In January 2011, he was appointed Chief Marketing Officer Reinsurance and member of the Group Executive Committee, and became Chief Executive Officer Reinsurance that October. In July 2016 Christian Mumenthaler was appointed as Group Chief Executive Officer.